An Airship is a lighter then air craft that is streamlined and possesses engines. It has more control over its position then a balloon, which is at the mercy of the currents. The 1930s was a golden age of airships on Earth. Rigid airships were common. However, the Hindenburg disaster meant that airships fell out of favor. Non-rigid airships, called blimps, which were inflated with helium instead of flammable hydrogen found a niche in advertising, surveillance and sightseeing trips. Plans have come and gone for large airships to rival the Hindenburg, but these plans have lost funding and have never materialized. An airship might be useful for transport on Mars. The stronger radiation destroys the hull. Due to the thin atmosphere the airship must be several times the size, reducing the efficiency heavily. The large surface of the airship results in strong forces during dust storms. 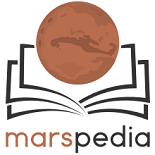 What is the maximum payload under Martian conditions? There might be an absolute limit due to the physics. What is the minimum size of such an airship, considering the weight of the propellant system and fuel?